A South Florida scientist said we could see more sharks off our coast in the coming months. PALM BEACH COUNTY, Fla. — A South Florida scientist said we could see more sharks off our coast in the coming months. It comes after Katharine, a great white shark fitted with a GPS tracker, was recently pinged off Port Salerno in Martin County . 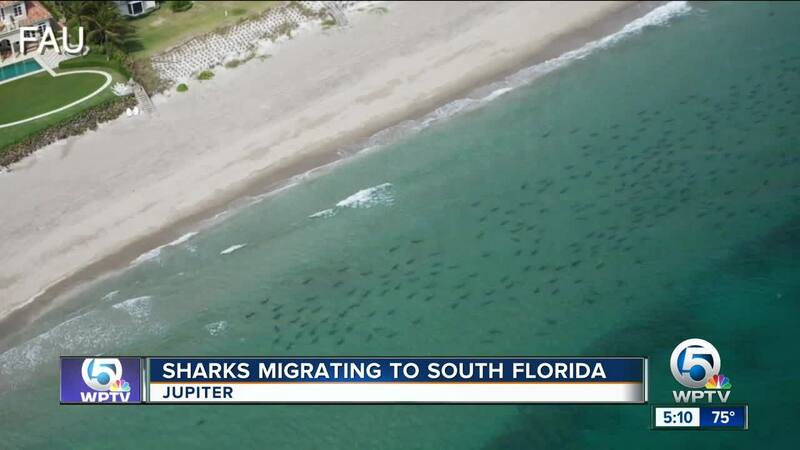 Dr. Stephen Kajiura, a professor of Biological Sciences at Florida Atlantic University , told WPTV on Thursday that as the waters get colder up north, there's a good possibility that more sharks like great whites will migrate down to the warmer Florida waters over the next couple months. 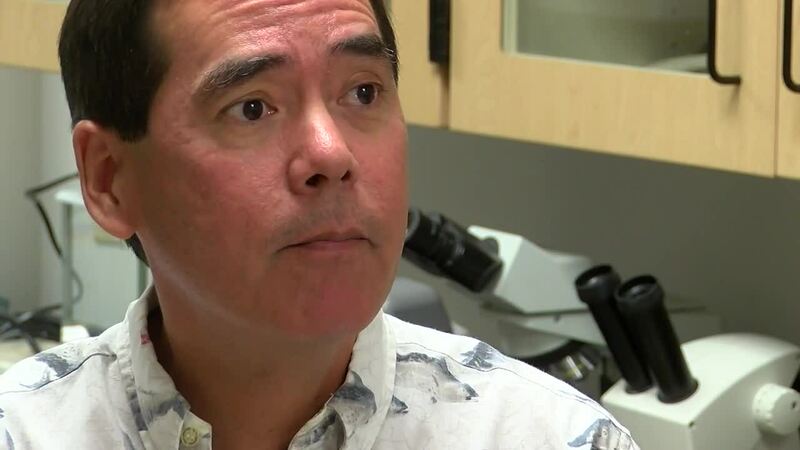 "Colder weather up north, it really drives them south," said Dr. Kajiura. "And we see this not only with Katharine the shark, but with blacktips that come down to South Florida and spend the winter. Especially if you have a really cold year, you're going to get more sharks." On Nov. 28, a twitter account dedicated to Katharine said she made it to the Sunshine State a little earlier than normal. Ocearch, a research organization, fits animals like Katharine with GPS trackers to study their behavior, improve conservation, education, and public safety. Sharks that are tagged "ping" a satellite when they're on the surface of the water for a minimum of 90 seconds, and long enough to get three consecutive pieces of information for an accurate position. Ocearch has tagged 330 animals since 2007, including seals, dolphins, turtles, and alligators. One of the hashtags used by Katharine and other shark enthusiasts is #FactsNoFear, in hopes that people will better learn to appreciate and understand sharks rather than fear them. WPTV'S Alex Hagan is working this story, and will have more throughout the day online and on air.